We moved here exactly one year ago, the first thing all the Texans talked about was seeing the Bluebonnets! Everyone would ask me, have you seen the Bluebonnets yet? We had only been here a couple of days…smile. We didn’t get a chance to take a drive and see these incredible beauties. We had a house to buy and unpacking to be done. So when spring rolled around this year, we made it a priority to take a drive to Hill Country to see these beautiful specimens. 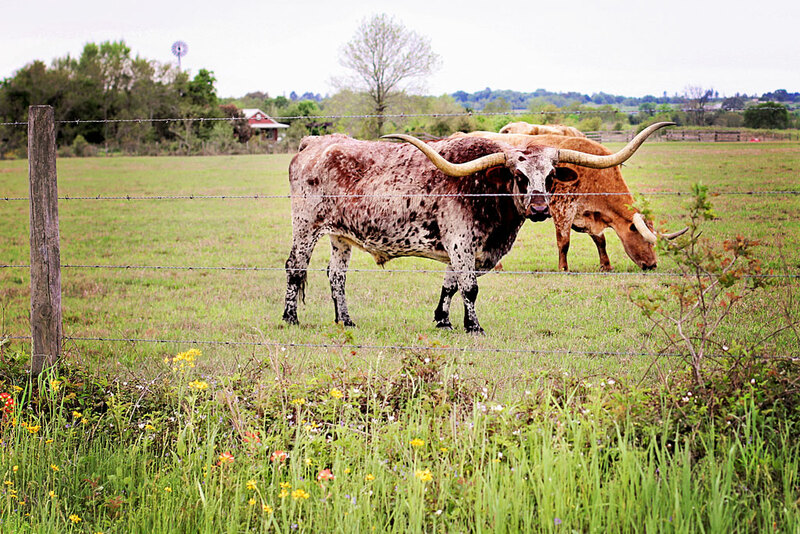 As soon as we started to see the hills, look who was here to greet us…The Texas Longhorns! As a Hoosier almost all my life, this was quiet the treat. He just stopped and posed for me. I LOVE being a Texan! 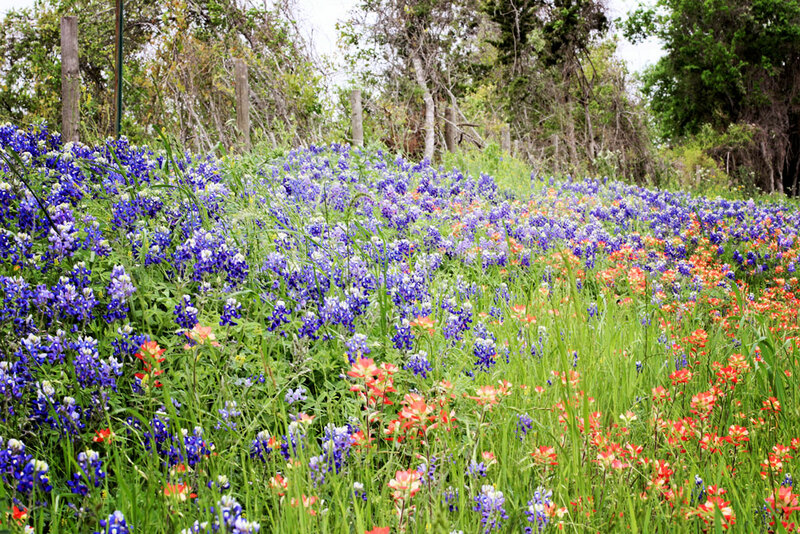 Texas wouldn’t be Texas without wildflowers in the spring. Bluebonnets, Indian paintbrush, and evening primrose burst forth throughout Texas from March until May. Spectacular displays of wild flowers are abundant throughout the Lakes and Hills region. 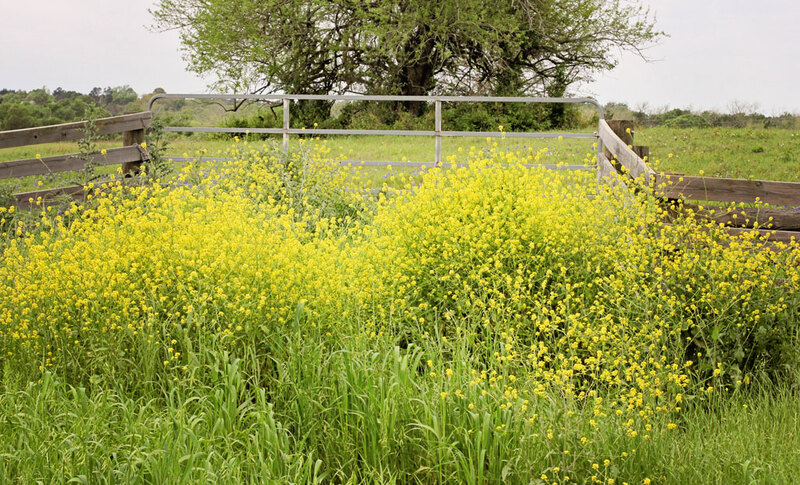 The optimum time for viewing wild flowers in the Hill Country is usually the first few weeks of April. Bluebonnets have been loved since man first trod the vast prairies of Texas. Native Americans (Texans) wove fascinating folk tales around them, crediting them with everything from having natural medicinal qualities to being spiritual messengers sent from the heavens. The early-day Spanish priests gathered the seeds and grew them around their missions to beautify. This practice gave rise to the myth that the padres had brought the plant from Spain, but the two predominant species of bluebonnets are found growing naturally only in Texas and at no other location in the world. Just how the delicate blue beauty became the official state flower is a little-known story worth repeating. Back on 1901, when the matter was up for a vote in the state legislature, the bluebonnet was running second to the cotton flower and the bloom of the Prickly Pear advocated by John Nance Garner. Garner, who later became vice-president of the United States, lost out on his flower of choice and managed to be tagged with a nickname, “Cactus Jack”, for his unsuccessful efforts. It seems a ladies group had been lobbying for the bluebonnet, which, in the end, finally came to be known as the official flower of Texas. Following the legislature’s decision, however, another debate raged for decades as to which species of Bluebonnet was the actual state flower. In 1971 it was finally settled when the legislature decided that all six species of the bluebonnet would be known as the official state flower(s) of Texas. THANK GOODNESS! Can you believe this General Merchandise Store still exists? About took my breath away. 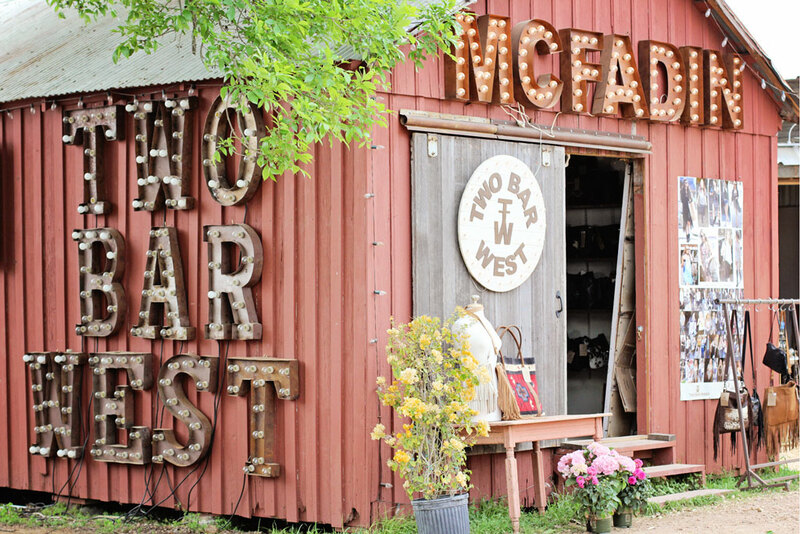 We made this trip a double duty…one to see the Bluebonnets and the other to visit the Round Top Antiques Fair! Twice a year Round Top is host to one of the nation’s largest antique events. The show started in 1967 with 22 dealers at the Round Top Rifle Hall. 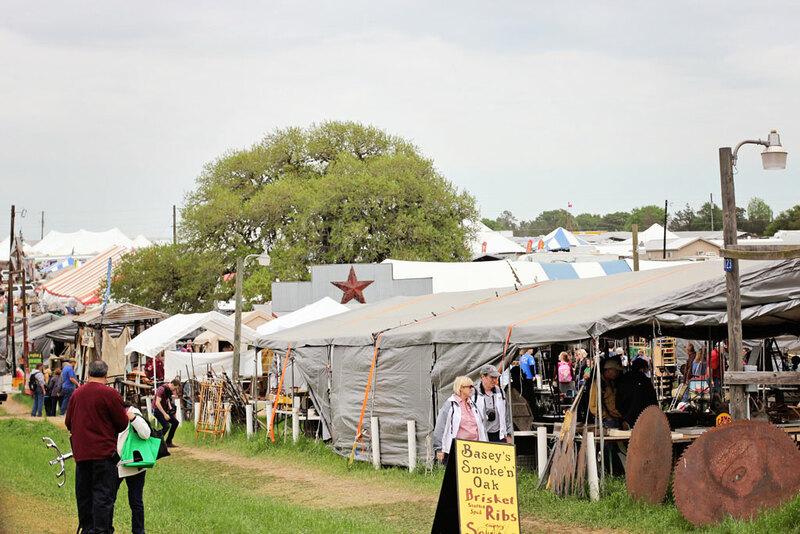 The Original Round Top Antiques Fair is still the first full weekend in April and October. Because of its success, many other shows open prior to it and now include the towns in a 10-mile radius of Round Top. Some call this a “flea market” but it is not what one thinks of in the traditional sense of a flea market. There are only antiques and antique related items, and yes, some are new, but the vast majority are not. The exhibitors come from all over the United States, Canada, Mexico and Europe with items as varied as old tools, architectural pieces, furniture, collectibles, artwork, fine china, jewelry and silver. The locations for the shows are as varied as the dealers exhibiting. Some are in dance hall, some under football field-size tents, and still others fill fields, but all have treasures. Even the most dedicated shopper cannot possibly see everything in one day, as there is so much to see and more arriving daily. One of the highlights of the trip was visiting the Junk Gypsies Store! 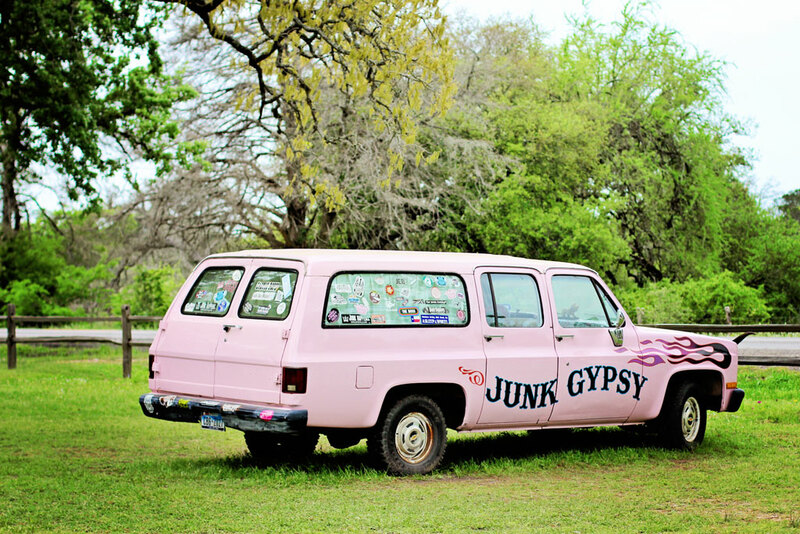 Have you heard of the Junk Gypsies? They are VERY popular here in Texas. 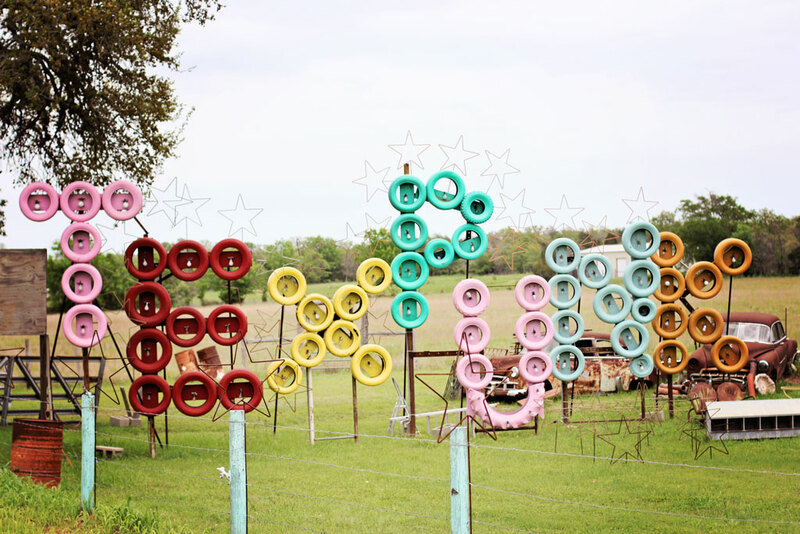 Junk Gypsies features designers Amie Sikes and Jolie Sikes as they take their rebellious independent spirit and unusual design philosophy on a special mission to find junk and use it to transform homes. 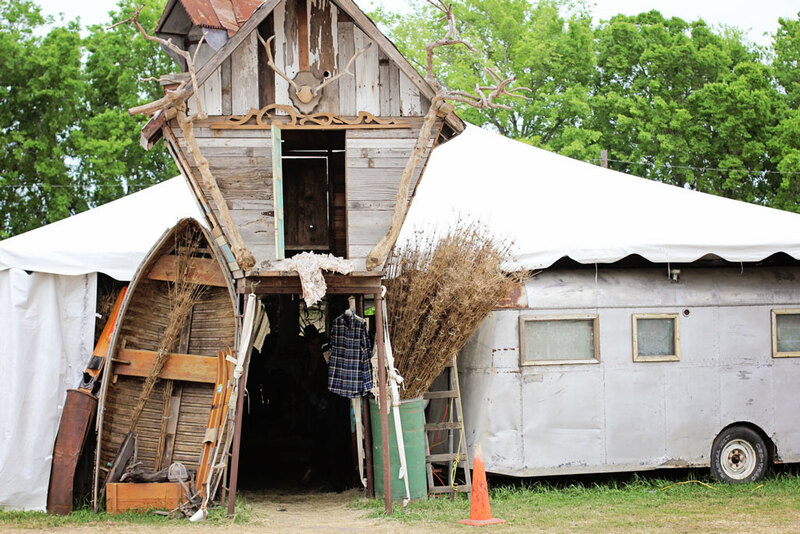 The Junk Gypsies, whose clientele includes country music stars and Hollywood actors, have a large and passionate social media fan base of fellow design rebels who first discovered them from Gypsyville.com. Finding beauty and value in items that would otherwise end up in the trash, these sisters are raucous and rowdy treasure hunters or whimsical and colorful designer/decorators, but they are definitely not antiquers or pickers. You can see them on HGTV or Great American Country TV channels. 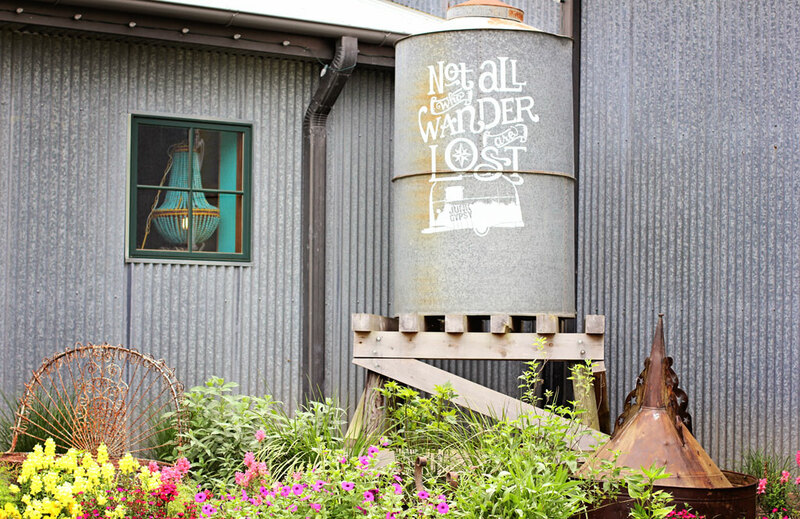 This is part of their store front…just loved the little silo with this adorable saying! There really just isn’t enough words to express how BIG this event is. Just think Disney World, without the glitz and no map to follow!!! So the question is…are you a junker? Photos of great energy! Why Indian paintbrush? Tell us how it has that name? Sounds like a great day out. The photos are great. No no no no more collecting for the Smiths but what a fabulous trip for you. I love both: wildflowers and Antiques Fair! I have a nice Antiques shop 5 minutes away from where I live… I visit weekly or even more oftenly… there is always something new (but still Antique:) to be seen! Fascinating! If you will ever visit Italy ( Rome area), I would be be happy to be your guide and host. So much beauty in nature & in antiques! What a great trip! The fair was something else, I would have loved to walk there…about 10 rows too. Oh I love the blue bonnets!! In fact I was just in that area just to see them. Traveled from NM just to visit the blue bonnets. So jealous that you get to live near them! Beautiful photos by the way! Amazing pictures, story and quotes! Loved this post! Great pics … but I want some of that BBQ. Love the photo essay! 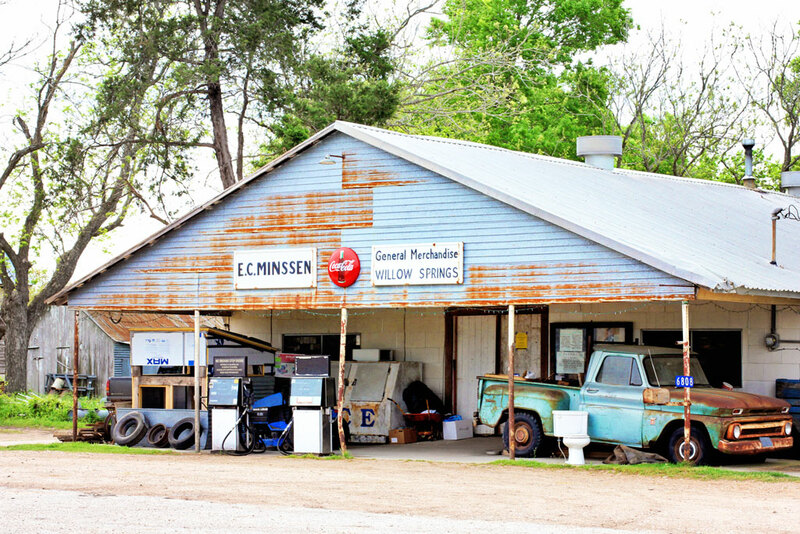 Not sure which is my favorite, the general store or the pink truck! Great post! Thanks so much. it was such a fun day. Laurie, what a great job you’ve done showing some of what makes Texas so special. I hated missing Round Top this year, but I chose that week to be sick and didn’t make it. I’m glad I got to visit through your photos. I hate being sick…messes everything up. Hope you are feeling better by now. These are great pics Laurie. So much to see here! Love the views! And all so different! All of these images are absolutely stunning! I remember my years living in Texas and the Blue Bonnets definitely do draw a crowd! They are a favorite spot for family photo sessions. I’m always jealous of the bluebonnet photo sessions that many Texan Photographers have each year. They really are gorgeous! All of these images are so beautiful! What an amazing place to live – it looks so fantastic. And the horns on those cattle – wow! The Hill Country is something special to see in spring. I am so glad that as a new Texas you now have seen the bluebonnets. We have some along the highways down here. I am a bit of a junkie but I am trying to do better! Gorgeous photos! I love the naturalness of the wildflowers scattered across the pastures. Wow, i am ready to visit everything here! Great shots. Great shots of the TX countryside and bluebonnets Laurie!! Great collection of photos! Will get a chance to visit Texas this summer – for a few short days. Have some dear friends in Abilene. I love the old antique/junk shops! And the quote on the junk gypsy store is one of my all time favorites! Wow, seems like only yesterday when you made the big move to Texas! Super cool photos. Looks like a really fun time. Very cool photos and area. So you moved to Texas a year ago! We moved within Texas a year ago, from Karnes City to Fredericksburg. Isn’t the Hill Country beautiful? Especially now, in wildflower season? I can’t wait to explore Fredericksburg! It is definitely worth exploring. Whenever you’re planning to be here, give me a shout and we could meet. Those fields of wildflowers are sweepingly graceful and lovely. I am a junker but not as much as I used to be. I love General Stores and flea markets. Terrific shots Laurie. Aren’t the longhorns an amazing creature! We’ve been to the Fort Worth Stockyard ….. quite the show! The flowers are absolutely stunning! That is such a cool history of the blue bonnets – what an antique show! A very enjoyable post, beautifully illustrated. I’m enjoying my visits to your blog! Do you know the Nanci Griffiths Bluebonnet song? Regards from Thom at the immortal jukebox. What great photos! Love the one of the longhorn. I would love to go to that antique fair, I bet there were all kinds of treasures to find. Looks like you had a wonderful time. The “Junk Gypsy” looks cool.